Battles on Fruitcraft trading card game on iOS and Android | Fruitcraft, Sqish em all! Fruitcraft app is all about Trading Cards and battles. 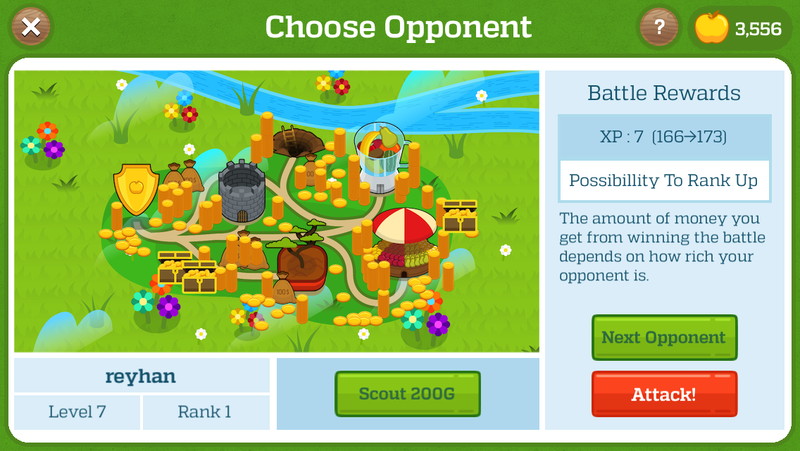 You can select your offence team from your army of fruit warriors and then look for opponents across globally. If your forces prove stronger than your opponents, you will gain some experience, some well deserved gold and maybe a level up! And in case you are not the victor, just give it a few minutes, recharge and try again. Quests are similar to battles but against the app itself. Quests are specially helpful when you start Fruitcraft, pushing you to level up quickly.